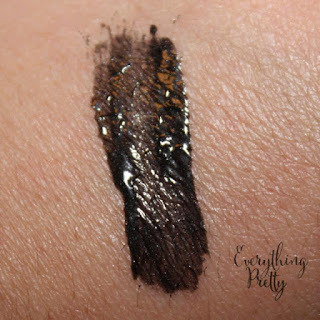 This week, I am featuring four cream eyeshadow recipes that I made. I found the most popular recipes and tested them so I can recommend them to my readers. 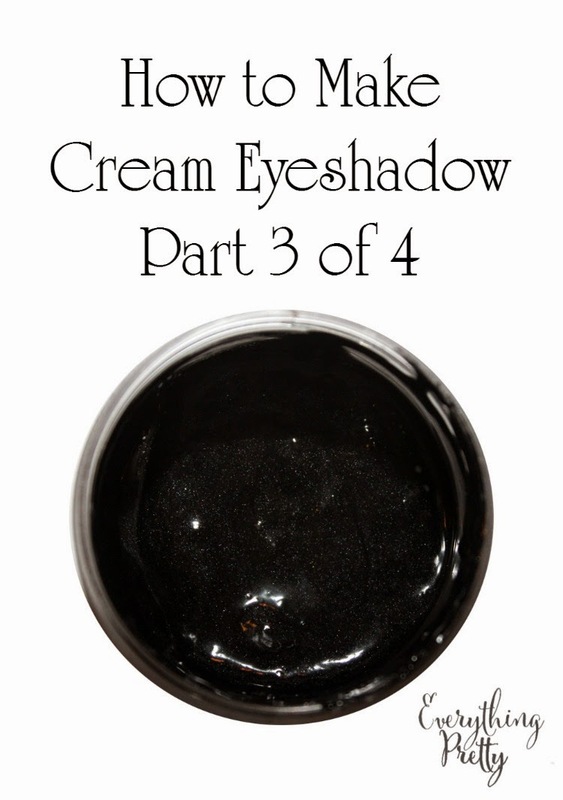 Monday, I posted an easy cream eyeshadow recipe with lotion. Tuesday, I posted a cream eyeshadow recipe with eye drops. Today's recipe is a little more difficult, but it isn't too time consuming. I spent about 10 minutes preparing it and then waited for it to cool. This recipe is adapted from a recipe at Soap Deli News. I adopted it to fit the ingredients that I had on hand and calculated the liquid measurement where she gives the recipe in drops for the oils. I have one more recipe to post tomorrow, so be sure to sign up for my newsletter if you don't want to miss a post. Place beeswax, shea butter, and oils in a small glass Pyrex measuring cup. Microwave at 10 second intervals until melted. I had some shea butter that didn't want to melt after 20 seconds, so I just stirred it until they melted. Let cool for a few minutes but don't let it harden. I put my eyeshadw in the container and added the oils to it. I added a little bit at a time until all of the eyeshadow was incorporated. I did it this way because I only used about 1/4 of a teaspoon of powder. I saved the base to make more shadow later. If you want to mix two or more colors, it's best to do this before combining with the base. Let sit to harden before using. I used a medium to dark gray, and it darkened quite a bit. Next time, I will use a lighter color. This goes on my skin very smooth, and it has great coverage. I love the fact that this has shea butter and vitamin E oil to nourish my skin. Both are very important for healthy skin, especially in the eye area. This is a great recipe, and I will make it again.